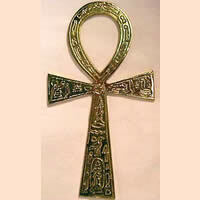 Ancient Egyptian symbol of life. Modern day symbol of wholeness & health. Solid brass, 4" x 7".